The purpose of relationship cord healing is to clear the unresolved past emotions and false beliefs that exist within a relationship such that, the transference of the past can be put aside and we can exist in the present with acceptance, love and mutual support of individual truth. We have many relationships in our lives, therefore there are cords between your soul, past life experiences, genetic parents, parental relationships and our relationships with others, all these produce energetic cords between the people concerned, the longer the relationship or more intimate the stronger the cord, this is the case whether the relationship was loving or painful. Through these cords we send positive or negative energy. When a relationship ends, if these cords are not healed or sometimes they are energetically cut, negative or positive energy is still sent between those involved, this makes it harder to end the relationship. Our first relationship is with our Mother, which becomes our foundation of our reality and then the influence of our Father and siblings etc. This sets up the way we will be in a relationship with others as adults. We fall into unconscious patterns when making adult relationships. To heal these patterns we have to go back to our formative relationships with our families i.e. Mother, Father and siblings. When we heal an issue in a formative time it heals all issues around that. When we have healing around relationships, the other partner gets healed as well. 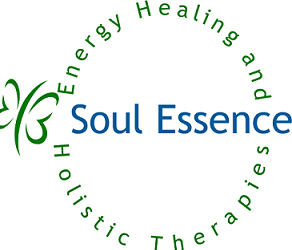 Information has been taken from the School of Energy Healing course material. The relationships in your life are a reflection of your own consciousness. The people in your life are perfect for you. First of all the disdain you have for other people is simply a disdain you have for parts of your own self, projected outwards. You only notice things in other people that you have in yourself, that is why you notice them. When you criticise another human being, you are revealing your own shortcomings, when you admire and respect another human being, you are revealing those qualities which you admire and respect in yourself. Because all you know about is you, that is all you can see out there. The people you hate the most are the ones who exhibit the very qualities which you like to express as eloquently as they do – your whole universe is a constant education, showing you who you are. Other people are both necessary and a gift for you – they are your Zen Masters. If someone irritates you, you really owe them a thank you – for irritating you, they are being your Zen Master and revealing a place inside of yourself which needs to be cleaned up. No one can irritate you if you are not irritable. As long as you are irritable, you invite with your irritable consciousness, people to irritate you. You have to draw everything and everybody in your world to you with your consciousness. The people in your life are like sandpaper, smoothing out all your rough edges. When you have no rough edges left, either the sandpaper of other peoples negativity will disappear from your life, or if it appears it will not be able to touch you – psychological lingo – you won’t get “plugged in”. You will not join in the game – you will not feel the need to defend yourself. It will bounce off you like fleas (water off a ducks back). At that point, you are truly a warrior, marching down the path, trampling the weeds in your way; and nothing can stop you. 2. The Law of Resistance – What you resist persists in your life and drains you of energy. Embrace what you do want and feel alive. 5. The Law of Attachment – If you wish to be free, detach yourself from everyone and everything. It is a prerequisite for enlightenment. Diana Coopers book “A Little Light on the Spiritual Laws” is an excellent resource for more information and life examples of the spiritual laws.